Triple cylinder turbo petrol engines are the rage among car makers, both in the budget and the luxury segments. Why, even a hybrid sportscar, the BMW i8, features a triple cylinder turbo petrol motor to work in tandem with an electric motor. Swedish car maker Volvo, which is now owned by Chinese automaker Geely, is betting big on downsized engines that feature turbocharging, direct injection and other trick injection technologies. Through the Drive E range of 4 cylinder, turbo petrol and turbo diesel engines, Volvo has upped the ante in terms of performance, fuel efficiency and reduced tail pipe emissions. The latest addition to the Drive E line up will be a 3 cylinder turbo petrol motor, one that Volvo is currently putting together. 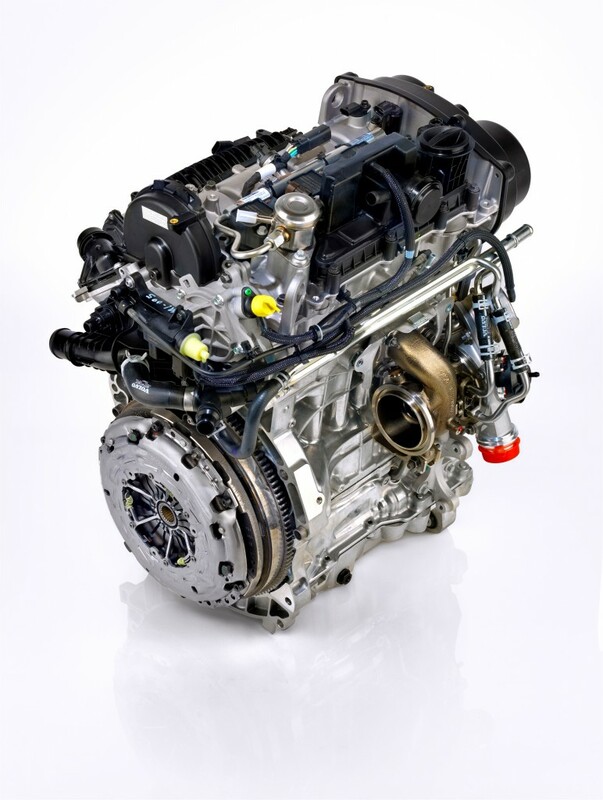 The new three pot turbo petrol motor from Volvo is being prepped to be used on the automaker”s new range of compact modular architecture (CMA) based, affordable luxury cars. The first CMA platform based car to use the new turbo petrol motor is likely to be the V40 hatchback, whose current iteration is on sale in the Indian car market as well. 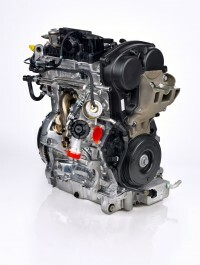 This engine will also be a staple on the S60, XC60 and V60 range of Volvo cars. The upcoming XC40 compact crossover is another Volvo that is expected to use the new triple potter. While the displacement of the new three potter is yet to be revealed, a safe bet would be the 1.5 liter mark considering the engine’s Drive E genes. Currently, Volvo is said to be testing the 3 cylinder turbo petrol engine in various states of tune between 150 Bhp and 180 Bhp, ample enough for most compact car applications. 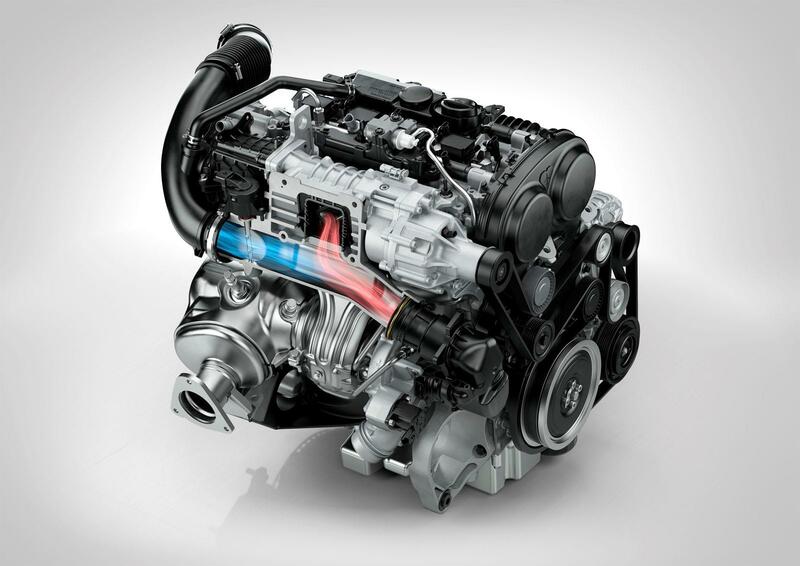 Why, this very engine could be combined with an electric motor to form the basis of the XC90 Hybrid’s powerplant. Now, that is taking downsizing to the largest SUV that Volvo produces. Meanwhile, India’s tryst with triple cylinder turbo petrol and turbo diesel engines has already begun. The Ford EcoSport was the first car in India to feature a three cylinder turbo petrol engine in the form of the 1 liter EcoBoost unit, highly acclaimed world over. Years ago, Hyundai introduced India to triple cylinder turbo diesel power with the Accent and Accent Viva CRDI models. India’s very own Mahindra & Mahindra has now taken things to a new level by equipping the Quanto compact SUV with a twin turbo diesel engine that features a triple cylinder layout. Last week, the BMW group made the three cylinder engine the de-facto motor in the 2014 Mini Cooper range of hatchbacks sold in India, what with the cars getting 1.5 liter turbo diesel motors. In the coming weeks, BMW will give India its first triple cylinder sportscar when it launches the i8 Hybrid. The i8 Hybrid uses a triple cylinder turbo petrol motor in conjunction with an electric motor to deliver sportscar performance in an ultra frugal package. Clearly, three is the number to be, as far as engines are concerned.